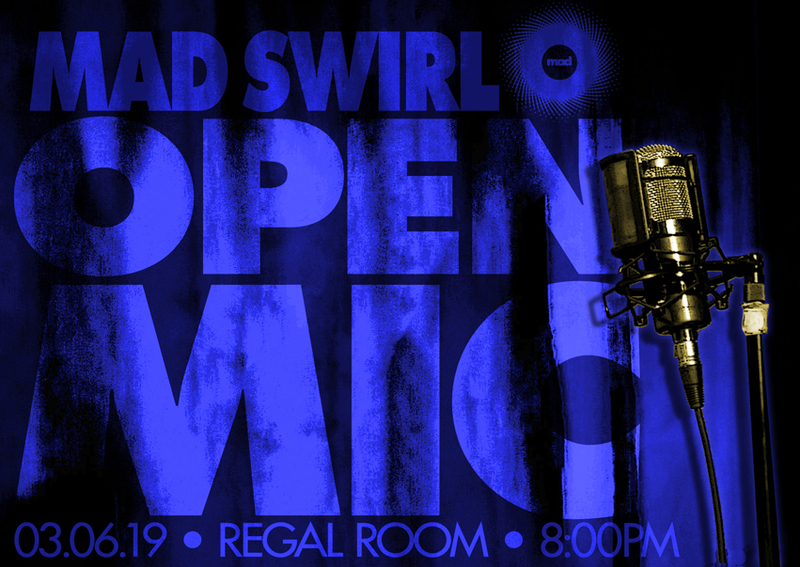 Join Mad Swirl this 1st Wednesday of March (aka 03.06.19) at 8:00 SHARP as we swirl up the mic at our mad mic-ness home, The Regal Room (located inside of Independent Bar & Kitchen in the heart of Deep Ellum)! Mad musical grooves from Swirve (with special guest Clark Walker on skins) will start us off. After that, join in & share in the Mad Swirl’n festivities.